When I am grilling steaks I do not like the flavor to be out of this world over powering. This recipe has a nice subtle smokey flavor to it. 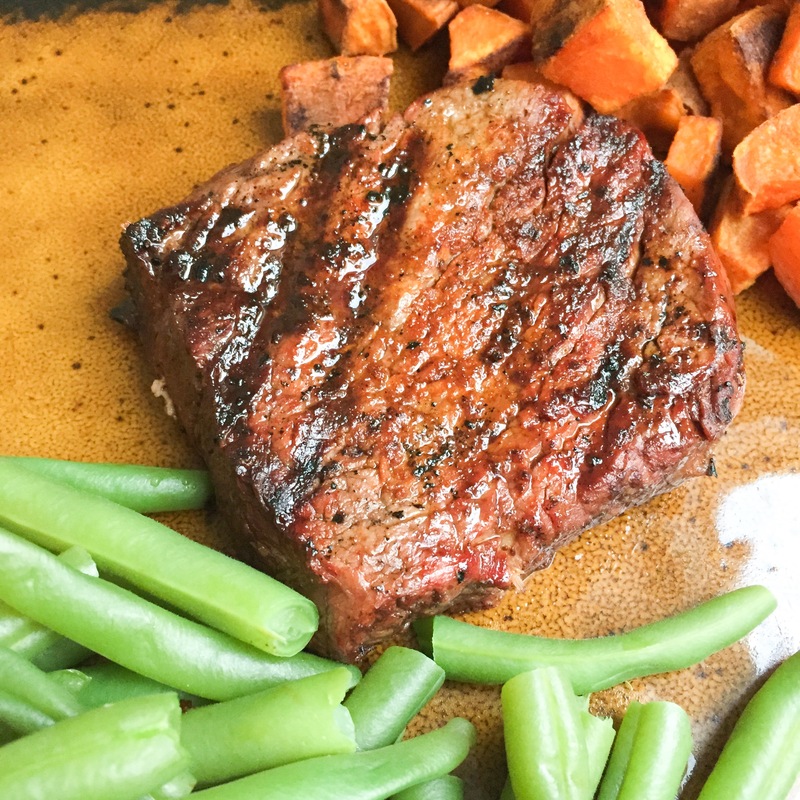 It doesn’t take away from the juiciness of the steak, and is nice compliment to the natural flavors of the meat. It was a lovely Friday night dinner. Mix the 3 seasonings together well. Lay your pieces of steak out. Rub each side with generous amounts of the seasoning. I used all of it up. Let stand for about 15 minutes. Toss on a grill and grill until it is cooked to your liking. I used filet mignon. I had 3 of them. I sliced each one in half, thinning them out. They were still nice and thick though. I ended up having 6 smaller steak pieces. I cooked them medium well. It is a compromise in our home. I would prefer a medium steak and my husband would prefer a well done steak. We meet in the middle. Marriage! Ha!